Gold is so fancy as a color that even if you get a grungy old bar cart from the side of the road before trash day, using gold spray paint can make it look like brand new. 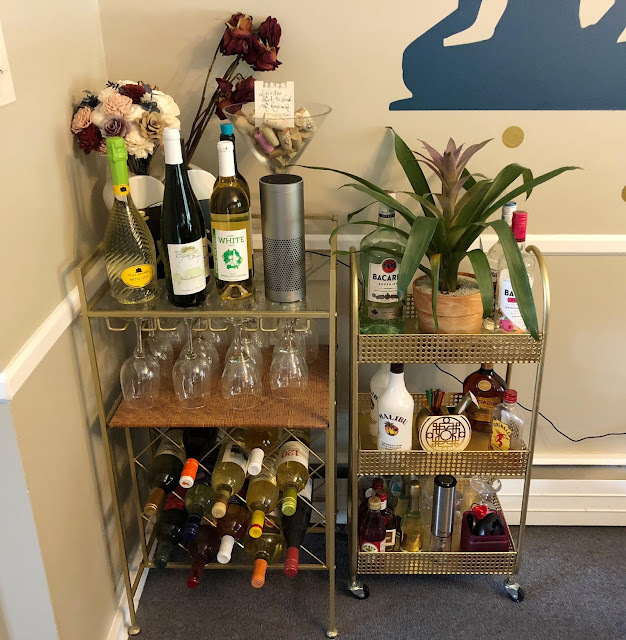 Whether it's a real plant or a fake plant, for some reason plants look great with a classy bar cart. 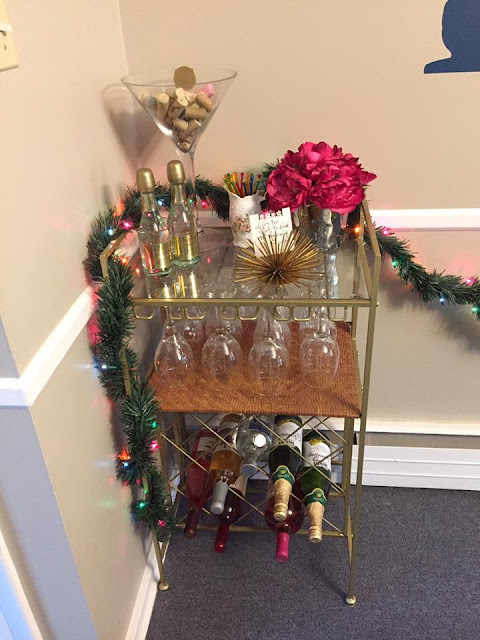 I've seen people use vine type plants that wrap around the outside of the bar cart. If you have any fun or unique bottles, place them on the top on display. It makes it look that much more inviting. 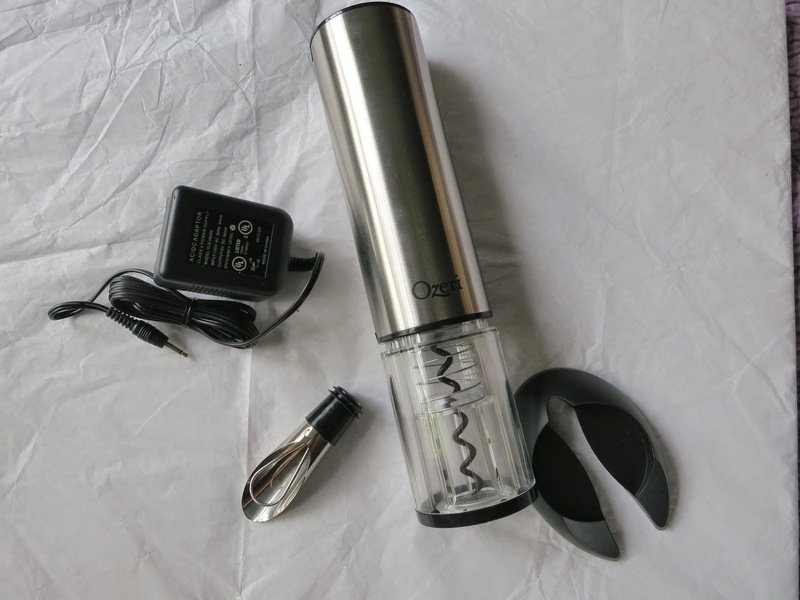 You can also keep empty wine bottles after you remove the label and fill them with colored liquid, sand, small stones, or whatever else you can think of. I've seen people get really crafty and creative with empty wine bottles. You can also paint them and use them on the bar cart or as a centerpiece on your dining room table. 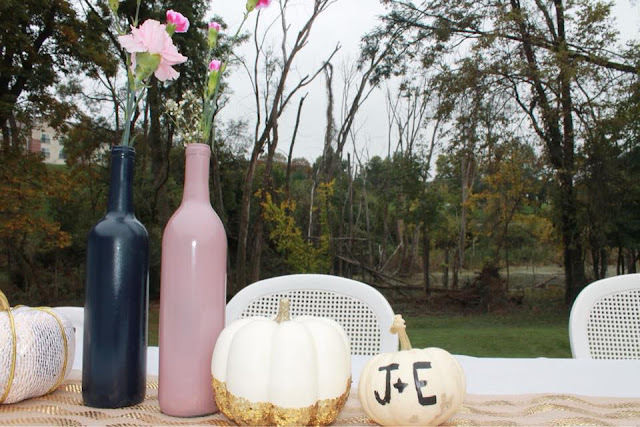 We actually used painted bottles as our wedding reception centerpieces! So some neighbors come over on a whim and you're feeling like the worst hostess ever. 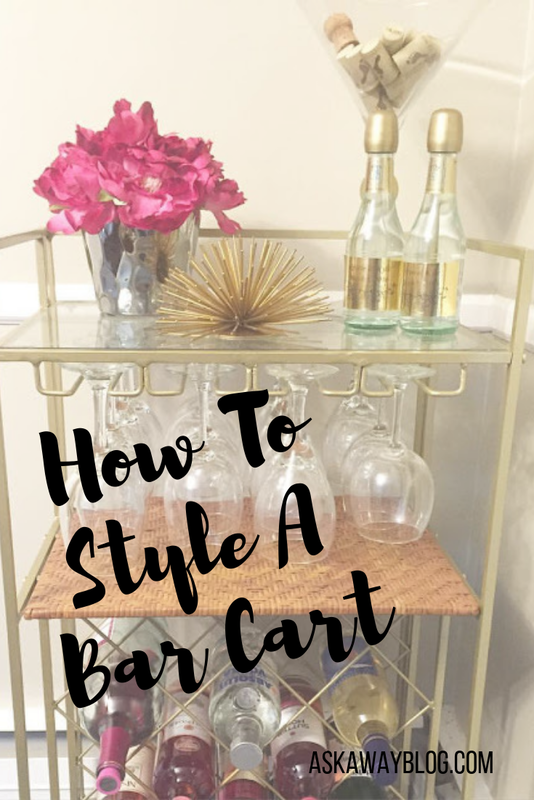 Not if you have a stocked bar cart ready to go with booze and cups and straws. Make sure to always have it stocked with things like drink stirrers, straws, cups, napkins, and more! It's also extremely helpful to have an actual wine bottle opener at the ready because the last thing you want to do is frantically search for one while all your thirsty guests wait. 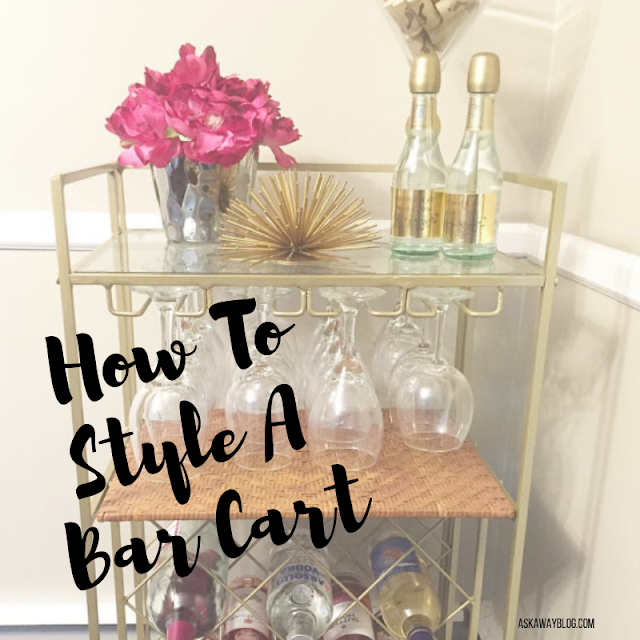 A spiky urchin, a bright pink Buddha statue, or even a hand painted welcome sign can add some personality to your bar cart. And if you feel up to it, you can change it around for each holiday too. I found an awesome giant martini glass and I use it to keep corks from all my wine bottles. 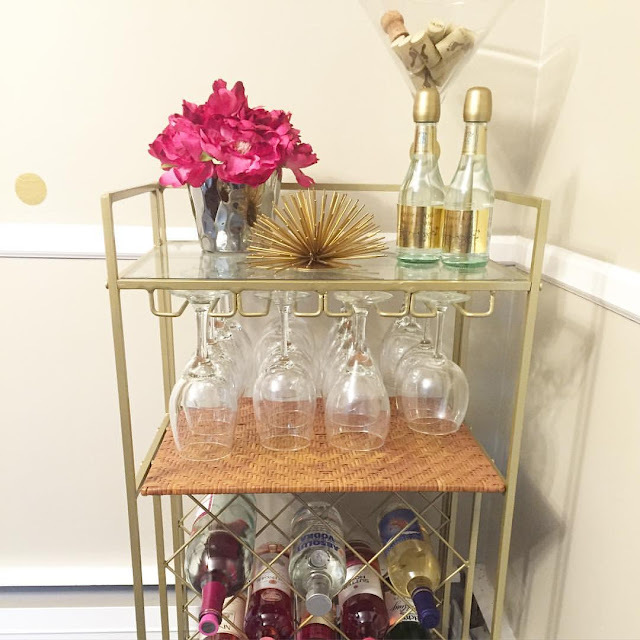 I might make something creative with them over time but it's a nice way to collect them AND add decor to the top of my wine rack and bar cart. 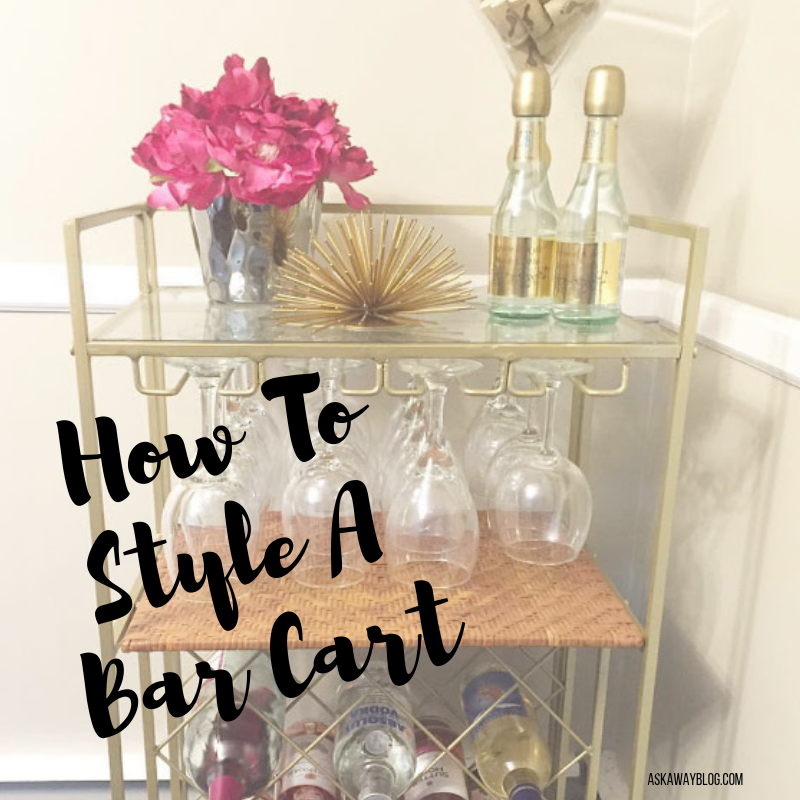 Do you have a bar cart or wine rack in your home? We have a wine rack.